The more you know about labour the more you will be able to cope, so here are a few things that you can do to make sure that you are your wife number one advocate for the vital moment. 1. Make sure you always have change in your wallet for parking, that’s if you’re driving. 4. Your partner is in a world of her own but your not alone as billions of fathers have felt what you are feeling now and they have all survived. 5. It is OK to feel helpless, she is in good hands. You have served over the last several hours and months as a hand-holder, fetcher of packets crisp and teller of bad jokes. 2. Work out how you will get to the hospital and plan the quickest route, also looking at alternative routes just incase of traffic. 3. Fill out the birth plan together, so you know what she wants and how you can help her achieve it. 4. Be proactive and help her to achieve the birth plan but support her if she changes her mind for any reasons. 5. 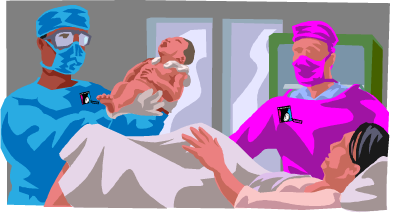 Make sure all the necessary information is communicated to the Midwife, as during labour she will be far too involved with what is happening to her. 6. Make sure continuously offering her different options because you never know what might help at the time. 8. Use things to distract her from the pain i.e. tell her fantasy stories, putting on her favourite music etc. 9. Some women prefer to lie down whilst going through early labour but try to keep her on her feet as this will help the baby to come down more quick and help the labour to be quicker. 10. Continually encourage her to let her know how well she is doing, using words of affirmation i.e. Well done, your one step closer, your doing great etc. Let us know how your labor experience was for you.